Join Maya and Sue this Friday as they welcome Janet Edwards, Master Gardener and founder of “Mountain Mama of Maine”, a company offering “Herbal Care for Skin and Spirit” with 100% natural ingredients. After years of studying herbs as a hobby, Janet started Mountain Mama of Maine in 1997 and took her business online in 2001. “Soft as a Baby’s Behind”, and, for the guys, she has developed ‘Northern Lights” Aftershave. Combining her creativity, love of organic gardening, and business experience, Janet has successfully grown a full-fledged home business which positively impacts both people and culture. 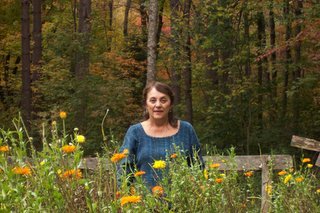 She grows many of her product ingredients in her gardens in the western mountains of Maine. As a Master Gardener with a Mission, Janet regularly travels throughout New England to fairs and festivals offering samples of her products and educating people about the dangers in non-organic personal care items.